"Phew! 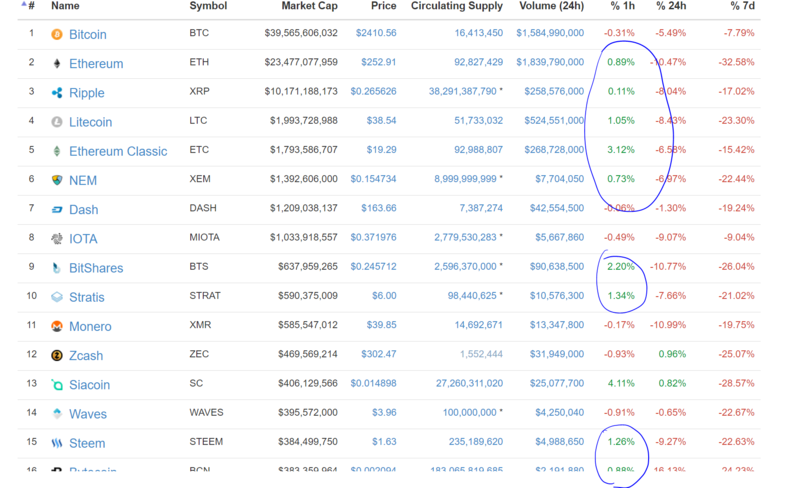 ", Bloodbath Almost Over in the Crypto Market! Good news, Seems like within the last hour or so, most of the alt-coins have started to rise in value as seen in the below Screenshot. This has been the most excruciating 3 days ever for crypto investors in the recent memory. If you do have some money to spare, this is the perfect time as you can easily make at least 20-25% gains, since most of the coins had fallen by the same amount in the last 3 days. Hopefully we won't have to see such huge falls again anytime soon. Lol, yepp that's how it's been going in the crypto market lately. But yeah it's the perfect time to make some good cash. HODL is the best strategy definitely @snailpath. This post received a 1.3% upvote from @randowhale thanks to @cryptodog! For more information, click here!